Email Hosting is a type of hosting specialized in offering electronic mail services. The clients of the e-mail hosting service get large size mailboxes and the possibility to send many e-mails every day. Most e-mail service providers offer access to the mailbox not only via a web interface, but also via POP3 and IMAP protocols, which renders the service accessible via both a web browser and specialized e-mail client software. 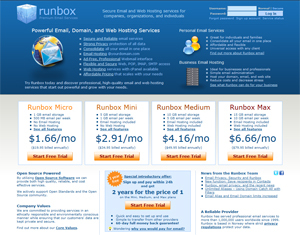 Runbox has served professional email services to more than 1,000,000 users worldwide since 1999. Runbox is based in Norway where strict privacy regulations protect your data. Runbox servers are hosted in a secure, state of the art facility with world class access and fully redundant systems and infrastructure. 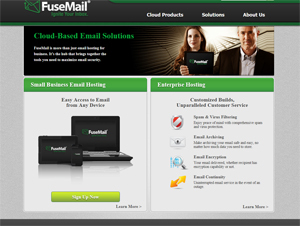 FuseMail offers a Cloud-Based Email Solutions. This is more than just email hosting for business. It’s the hub that brings together the tools you need to maximize email security. 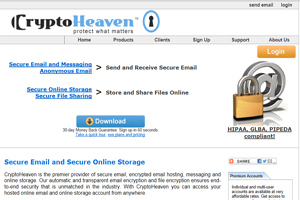 CryptoHeaven is the premier provider of secure email, encrypted email hosting, messaging and online storage. The automatic and transparent email encryption and file encryption ensures end-to-end security that is unmatched in the industry. With CryptoHeaven you can access your hosted online email and online storage account from anywhere.